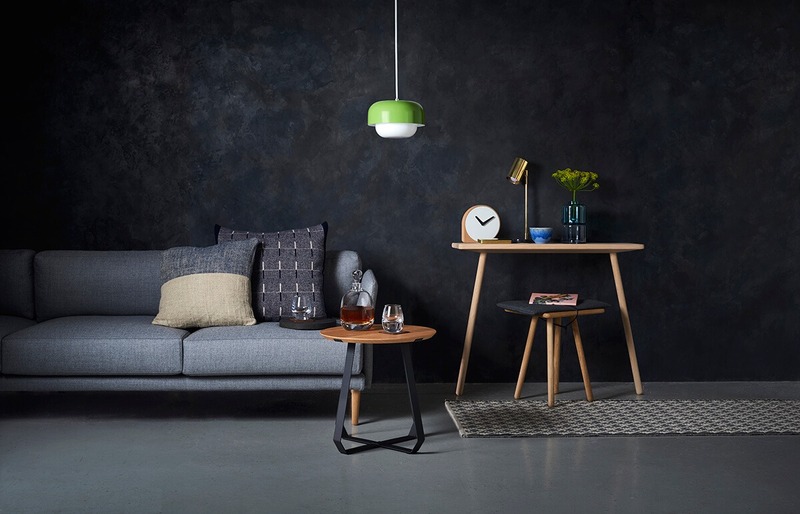 If you are an emerging designer or brand in interiors or fashion accessory market, Top Drawer is one of the best trade shows in London to be part of. But, “with more new products being launched there than ever, and an extraordinary selection of companies, most exhibiting exclusively” – as quoted in the latest Top Drawer press release, how can you be different and how to get the most out of the show as an exhibitor? I met few small brands at the show, which I featured in our issues over the past year and I know many more will be exhibiting there in a couple of weeks. So I have asked around for 3 “killer” tips on how to make Top Drawer a success for your business. From my own experience, as an exhibitor at trade shows myself many moons ago, I find that the most effective way of speaking to people and telling them about your products is by “being out there”, literally. You need to stand almost on the outside of your stand, or “the invisible border line”, smile, make an eye contact and try to start a conversation. Don’t be hiding behind your products or sitting down in the corner of your stand. There is no time for that. YOU NEED TO BE OUT THERE GRABBING PEOPLE. Not literally but you know what I mean. You need to be brave, stand tall and confident. You need to be telling YOUR STORY to as many people, who show the smallest interest in your products, as possible. You need to totally own it. One way to do this, as advised by an artist I’m going to feature soon, is to pretend it’s not you – not your work or product that you are promoting. Imagine that you talk about someone else. That way you don’t see the little imperfections on your prototypes or samples. Get into the zone and sell it!! You already know that you have great products so let everybody else know why, with total confidence. 1. Where did the inspiration or idea come from? 4. How did you arrive to the point of creating your products or business? I’m sure buyers want to know the same. But you need to tell it effectively. Remember nobody has much time on hands during the show. The faster you can deliver your story with a memorable impact, the better. Also, while mentioning buyers, you need to know your prices, margins, stock availability, whether you have catalogues and promotional materials. Create a Dropbox folder with low resolution images and promotional materials ready to be distributed as soon as someone asks for it. Side note: I wouldn’t include high resolution images, so I can have a better control over who requests / uses them and what for. That’s just my personal opinion. This one is from my personal experience. You walk around the show and someone comes up to you asking to scan your badge. Why? Well, I know why. But, really? It’s a waste of time and energy. To make the best out of the show, you need to collect the best contacts. Prior to the show you need to have a clear idea who that would be e.g. an independent stockist, a larger buyer, press, a distributor or wholeseller? Who do you need to help you take your sales to the next level? Shows and exhibitions are physically and mentally exhausting but the hard work must carry on for at least 4 – 6 weeks after the show is finished. To make the best out of the contacts you have collected and the connections you have made is to follow them up. Create a follow up system in Excel spreadsheet and phone around. Many people do follow-ups via emails but to set yourself apart from everybody else is to pick up the phone and speak to the person on the other side. Perhaps schedule a visit or meeting to discuss how you could work together. If you still prefer following up via emails, follow up people every two weeks, three times in a row. So if you get the initial “cyber silence”, as I call it, repeat the email in two weeks time and then again. I will be creating templates for this in Estila’s Atelier of Success – a business platform I’m creating for our community, which I will be launching next week but in the meantime, I would suggest to add a couple of sentences to your initial email saying that you haven’t heard back yet and that you are wondering whether the email was received and whether it’s content is something of interest. TIP 1: Be direct and friendly. No one has time to read through long stories. Explain where you’ve met and what you would like the other person to do next. You can include your catalogue, however, I think that in some cases, people won’t have time to open the file, so just be aware of it. I would suggest to make it little bit easier and include the best image you have of your collection or product in the email for reference. Most mobiles and tablets download images automatically in emails and if it’s something that grabs attention, you don’t really need to send bigger files, unless, of course, that’s what you were requested to do. TIP 2. Do not send a “thank-you for visiting our stand” via mailchimp or similar email provider. Anything that is so impersonal is very off-putting. Remember, people make deals with people. If you don’t make an effort to write personal emails, you can’t expect anything in return. I can’t stress this enough. After each show I visit, I get these emails and I roll my eyes! This is super lazy. Plus another thing that annoys me is that my email address is automatically added on a mailing list without my permission. I usually hit unsubscribe pretty fast. Update: Be part of our private Facebook business group called Atelier of Success. You can join here. This is where I encourage sharing business knowledge and collaborations in a transparent way. Because business is about WHAT and WHO you know!! If you need PR tips, why not do our FREE PR CHALLENGE?